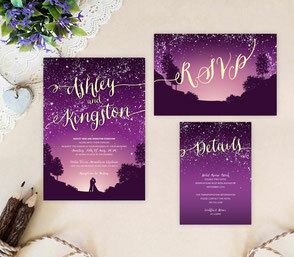 Purple is most popular wedding color for many years, because it's often associated with luxury and wealth and has a lot of beautiful shades. 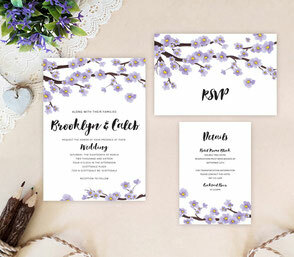 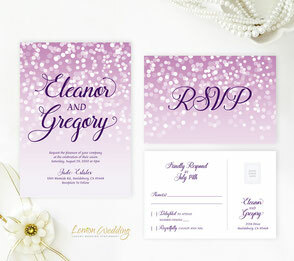 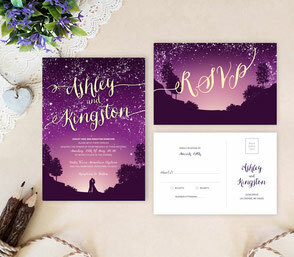 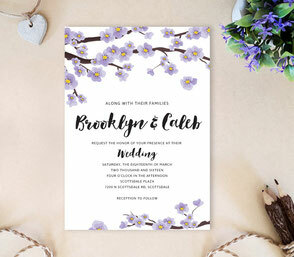 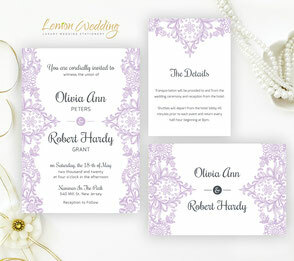 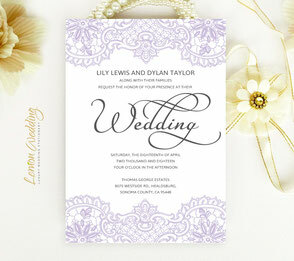 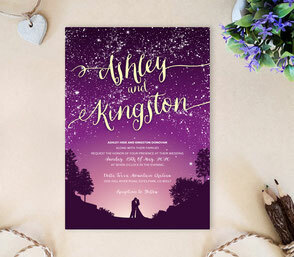 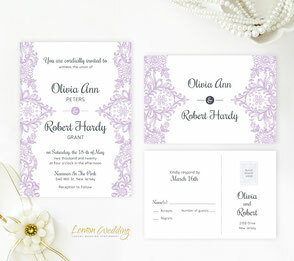 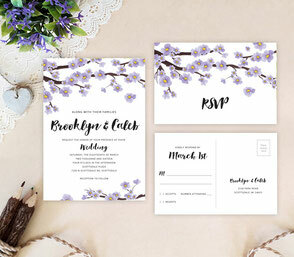 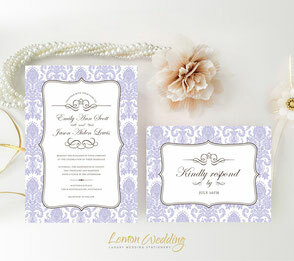 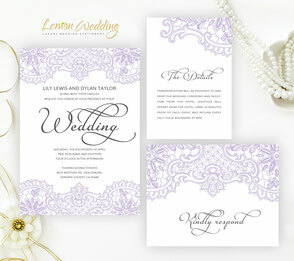 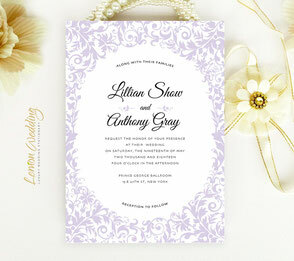 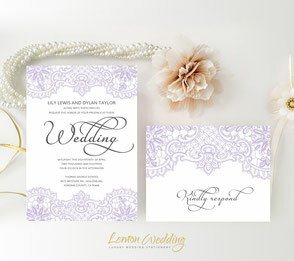 Browse our selection of purple wedding invitations made to match your wedding perfectly and printed on cards of the highest quality to last long after your wedding is over. 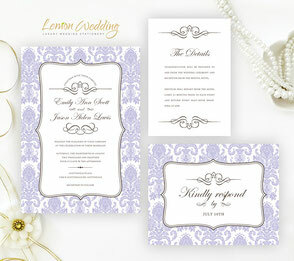 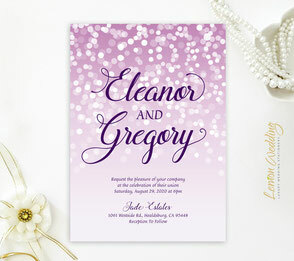 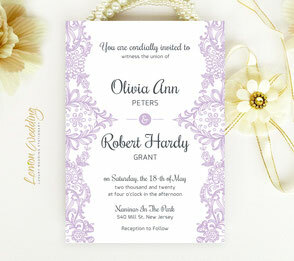 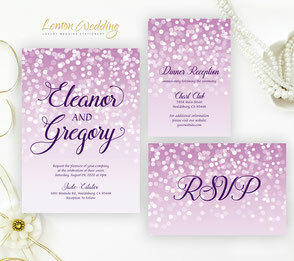 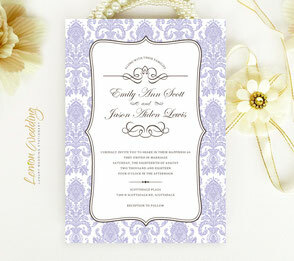 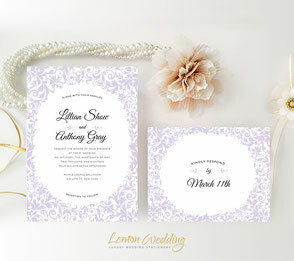 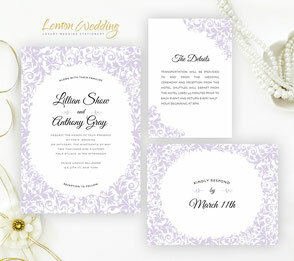 We print on luxury shimmer card stock, which will give your stationery elegant and sophisticated look.